THIS just got tweeted by the official Tron Legacy Twitter feed. Sounds like it ties in with Tron Uprising, but why would they go live again just to post this lone image? "You won, ok? IT'S JUST A GAME!!!" Tron Legacy- In Disney Digital 3-D and IMAX 3-D December 17, 2010!!!!!!!! Tron 3.0 Wrote:...but why would they go live again just to post this lone image? Also your gif sig is frozen on some blur, both in IE and FF. 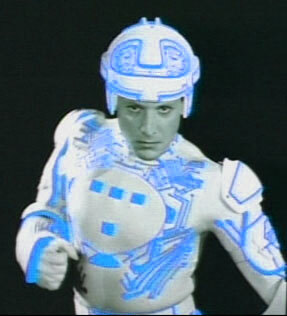 Tron 3.0 Wrote:THIS just got tweeted by the official Tron Legacy Twitter feed. Sounds like it ties in with Tron Uprising, but why would they go live again just to post this lone image? Apparently there is going to be a "First Look" event on Disney X D on Monday night (April 30th) at 8/7c according to a promo. Their schedule doesn't have it listed, but it appears that it may be a short commercial segment during a new episode of the show "Kickin' It". EDIT: Looks like I misread something, it appears that a block of series premiers for several popular Disney X D shows will start at 8/7c and go on for about an hour or so. The First Look for Uprising will likely be during a commercial break during this time. TRON.dll Wrote:EDIT: Looks like I misread something, it appears that a block of series premiers for several popular Disney X D shows will start at 8/7c and go on for about an hour or so. The First Look for Uprising will likely be during a commercial break during this time. Ummm.....I'm watching Disney X D and I just saw the teaser for Uprising that's been online here for months now. Is that it? Does this mean I have to wait until May 18th for the next thing?